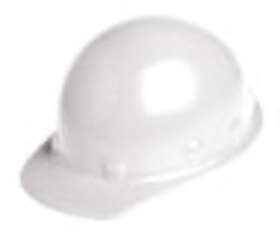 Our lightweight, heavy-duty P-2 series fiberglass caps come in three special formulations for a wide range of applications. Model P-2W Roughneck caps are built for toughness and durability. Smooth crown design and eight-point suspension systems headband.